Now, when I open IVF project in my IDE, this voice tells me: "Hey, I want this code to be runned on Steam version too". offtopic, but why can't you just drop steam version support? many people use 1.0 hoodlum or compact. I honestly don't care who doesn't use 1.0, so much that I never even tell which versions my mods are, because they are always 1.0 US. Create mods for other versions is much work for little public. The time I would be adapting a mod to another version I might be leaving the mod multilingual to reach new audiences ← I think this is a better time spent, and just few modders worry about it. I don't know why this code was coded to work only outside missions ($ONMISSION == 0), I would also like to dettach during missions. In samp it actually snaps right back on. It does not really detach at all. You hear that its detaching for a quick second but as I said, it snaps right back on. Hi. Saw this mod on www.mixmods.com.br and really liked it. 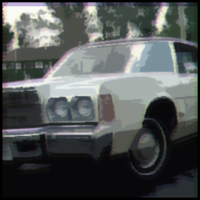 I'm converting some cars from GTA IV to San Andreas and the recursive extras function would be so cool to use on some cars. However, if I may suggest, you could implement up/down lights, bandito hydraulics, etc, just like from Vehicle special abilities mod (since there are limits when using VSA). Actually, this was suggested to me by my friend M4K3 on this forum. 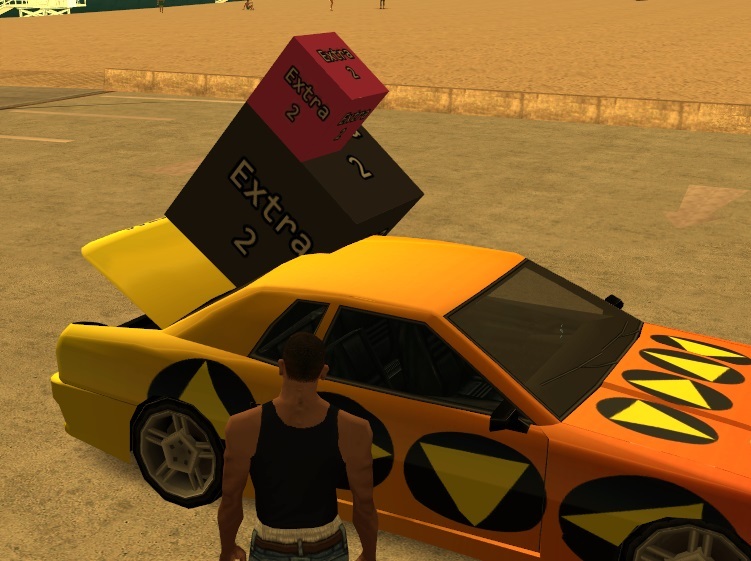 He converts IV/V/MP3 cars to GTA san andreas. - bike can be tunable like in V? Saying also here: There's no gear in GTA SA, It's just a looped audio. I don't know if it would be possible to create an effective gear simulation. VehFuncs can be a substitute for Active Dashboard... it's a very poorly done mod. The problem with this kind of thing is that creating this for a specific vehicle is very easy (really, you have no idea). But creating a system that enables a wide range of different vehicles is difficult. Even though I'm avoiding the need for additional files. I don't feel like doing mods like this because of my Tuning Mod. It's a completely limitless tuning solution, you can create customizable vehicles using it. A guy on my forum created Gang Rider, so you can adapt vehicles to carry more gang members. You can make seats smartly adapting with extra parts. There are still some limitations of the Gang Rider that make some places impossible to work, but it's really cool. Hi. I saw the peek preview of your infernus on Ezekiel's HD car topic. It had up/down lights, a very cool feature I suggested a few posts back. Any idea when you will post updated version of this mod? And perhaps, it would be nice if every now and then, u update the community with what you are and have been doing on the mod. This topic isn't getting the attention it deserves. I thought about it today. It may take a while since I have another important mod to finish (which I promised to release a month ago.... it's impossible to promise releases, it's incredible) and I'm creating a new forum, so I'm busy now. Btw: this sort of thing, as the hitch, I prefer that Fabio or someone else do it because I have no knowledge of Assembly. Fabio did a great job with hitch system, it's the best hitch solution today. If he's seeing this, I'd like to tell me how you did it in ImVehFt, but I can also open a thread to ask this..
Btw: I have a feeling that just having ImVehFt installed the extra parts will already work on the doors, bumpers etc. Awesome features. Some ideas: Wobbling exhaust and if the wheel is damaged it will start wobbling like in IV. And if it's a crap car it will loosen some speed and backfire black exhaust (temporary) like in IV aswell. Are you planning to create some epic handling aswell? Sad that you aren't doing things for with just sounds too . But anyway it's awesome. How did I not think of that too? I think it would work same as engine (using the same feature). edit: almost. and if the wheel is damaged it will start wobbling like in IV. I thought about it yesterday, because I was trying some things with physics and I applied a small force to the right, unintentionally, it was very similar to when a wheel is damaged, including sometimes creating a skid mark, I liked the result. Maybe someday I'll do it, even if it's simple. Hi Junior, I was checking this new reinvention of the Enhanced Vehicles Functions and I personally like it a lot, specially because of the new extras system, that will definitely be a really useful feature on my upcoming vehicles (...) I've a few suggestions, since most of the people have requested and suggested some of my ideas, I would like to suggest some of the features presented in Alexander's Vehicle special Abilities like moving turrets, pop-up lights and cement mixter. I would like to say that this modification is meant to give us realistic and useful features, not just options that we will use only a few times (...) for example, many people want working controllable wipers but after a short time nobody will ever use it again, the same thing happens with automatic windows, everyone will say "hey wanna see something cool? I can control all the Windows, bro" and then forget about. What I'm saying is that if anyone want to suggest or request something think about those features that are fully automatic, just like moving fans, working engine bands and animated emergency light sirens, just like GTA IV, V & O features. I prefer everything related to lights to be done by IVF, it already did a great job, just needs to improve it. About Vehicle Special Abilities, I really like that @fabio3 solution for hitch function. I want it done like this. Extras now works with any part, and working damage! Hey, we can change the tire model if it's bursted. Unfortunately IVF may spoils a bit. It sets atomics that doesn't need, for example almost any node that you add on bump_front_dummy the atomic will be set to dummy's frame, thus losing control of the nodes. In my solution, it will work only on nodes with name started with the same first word. i.e. for "bump_front_dummy", it will be set "bump_front_ok" or even "bump_ok" and "bump_something", but it will not set "example" or our "f_extras", so now the VF's extra system will work on bumpers (and also other functions). Besides facilitating the other mods (like Tuning Mod and VehFuncs), this also seems convenient to me and it must be rare to cause malfunction in some vehicle mod. The only problem I noticed was that the transparency become bugged if the doors name doesn't start with the name "door", but I've never seen a mod that does that (most people don't even know it's possible to use another name instead of "door_**_ok"! And if someone did, the correct thing is always follow the game default, right?). Same for windscreen. Why not look for _ok and _dam parts? Because we need it for our extras. edit: I already contacted DK22Pac about this. Recursive Extras and other functions now work on literally any vehicle part, as doors and bumpers, including working damage. So, now is possible to have for example a Fox and Crossfox as extras on same .dff. Added wheel variation support (yes, you can use Recursive Extras on wheels to vary them). The wheels will be processed and copied to respective dummies, in original game style, but now with fully control. Added characteristic of double and single exhaust. For example utilizing on some double exhaust extra. Added f_gear — part that rotates with engine on, and faster when accelerates. Added f_fan — part that rotates with engine on, like a ventilator. The hitch only works if visible. For example a f_extra_ok on bump_front_dummy, when damaged it will be without hitch, literally. (obviously this functionality isn't applied if the node is a dummy). Fixed several problems related to parts update on Tuning Mod. The part list on Tuning Mod's "Manage" menu is improved (like, but better than ImVehFt). Other small fixes and improvements on code. Download it on first page. If nothing important to fix, it will take me a while to get back to working on this mod. The current extra system is already a milestone for me. 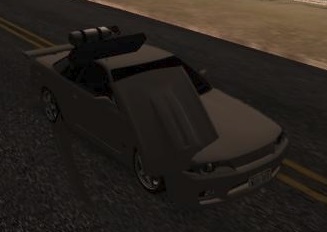 Feel free to start adapting cars to this mod now. 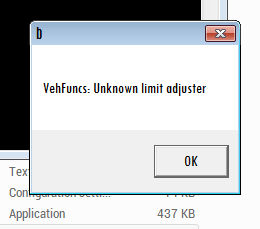 edit: VehFuncs isn't working on helis due to plugin-sdk+SilentPatch error. Wait for fix. Fixed problems with cars that doesn't have "chassis" on .dff and use wheels on top of hierarchy. New version of GSX (report if you find problems with save and load on garages in cars that use extras from this mod). And be aware about this bug if you're adapting car with tuning support and using extras on bumpers and wheels. I wonder if the recursive parts can have some advanced functionality as would be needed for the mobile crane or a functioning excavador. Free space for member title. Very neat! This is mainly useful for a vehicle modeler like me. But i want to report a bug. I hope you can find the solution about this bug in the future. San Andreas has pop-up lights rotation locked in 40 degrees by default. Maybe we can adjust a pop-up lights rotation up to 90 degrees. I guess that's all for me. Good luck with your projects! The reason why i don't send the log is, when the crash happens, the log generates nothing. It just an empty 0kb file. IVF Auto-spoiler mainly depends on speed. What i mean is an aero flaps that only retracts depending on wheel turns left or right. Updated again.... Thanks to Michtogino for report. I hope to be stable now. Functional parts (like f_gear, f_hitch etc) works inside an extra. Now is possible to use f_class and f_extras inside an extra. Ok, now this sh*t is really recursive. And you didn't use extras on the wheels, so obviously the wheel will appear like this, you need to make them vary. Read the wiki.